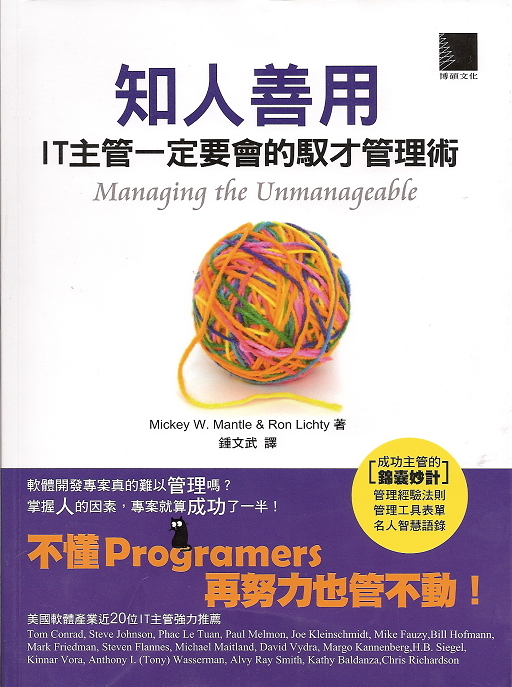 The Chinese Traditional translation of Managing the Unmanageable: Rules, Tools, and Insights for Managing Software People and Teams was released in September 2013. 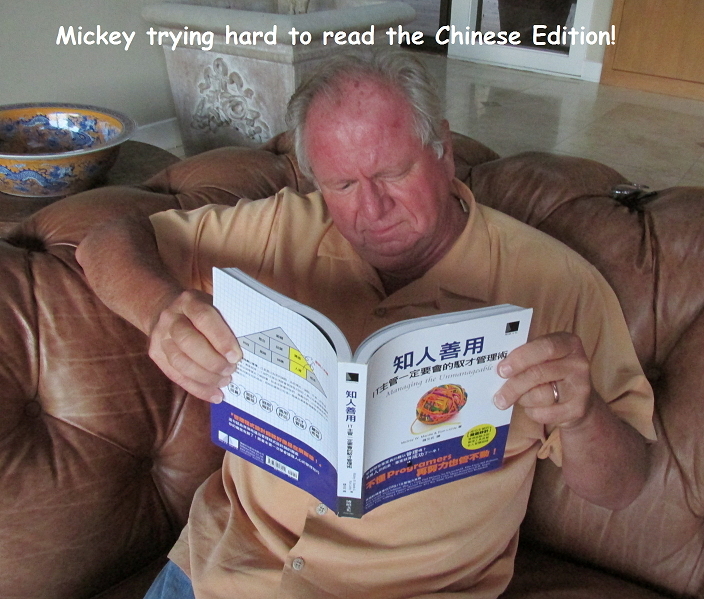 Those of you who read the traditional Chinese characters can order now! Are software development projects really so hard to MANAGE? If you understand well the element of PEOPLE, you've got half of your SUCCESS! you won't be able to manage them no matter how hard you try! 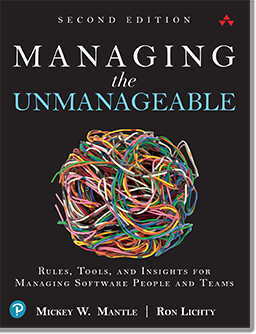 "Software Development is considered hard to manage" is a widespread opinion. 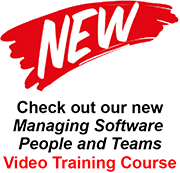 To answer this, the author "pokes out blood with just one needle" [idiom], pointing out that Software Development/Project Managers and IT Directors must learn the skill of how to manage programmers and project development teams, i.e. 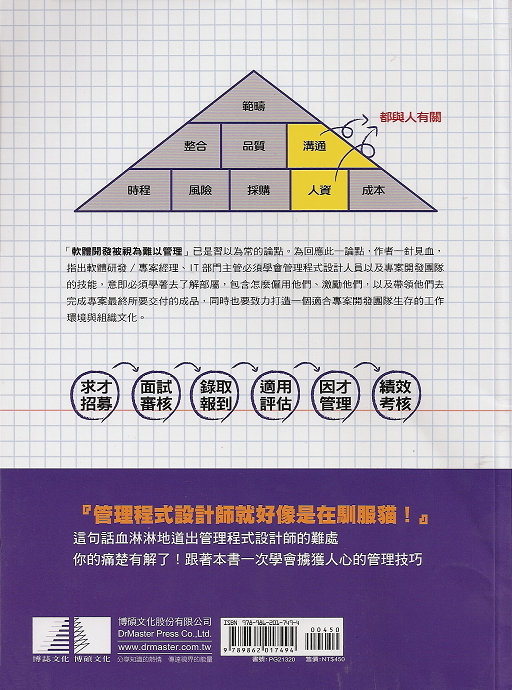 must try to understand the subordinates, including how to employ them, inspire them, and lead them to complete the products the projects need to deliver in the end, and at the same time must also make an effort to set up the work environment and organizational culture suitable for project development teams to survive. a. 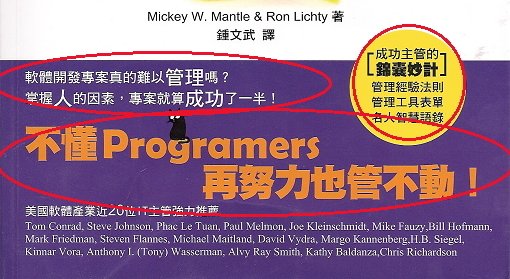 Managing programmers is like training cats!